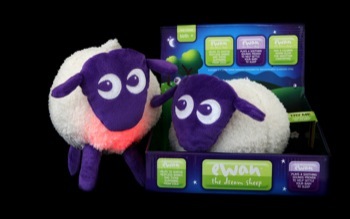 Multi award winning ewan the dream sheep™ emits soothing sounds at a low base frequency and a calming pink glow, which when combined, help settle your baby or toddler into a peaceful sleep. 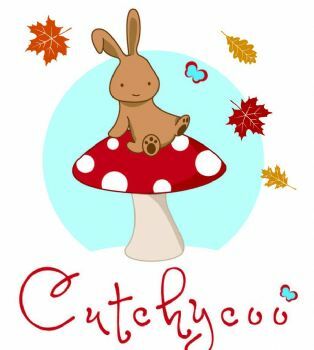 The heartbeat and womb sounds are actual recordings, not computer generated and these really do have a calming effect. For those children who are slightly older, there are ‘pink noise’ sequences - similar to white noise, but more effective with babies, combined with the heartbeat recording. Vacuum cleaner, rain and harp recordings together with the womb sequence provide 4 different calming sound tracks to choose from. The sounds were trialled on 30 different babies to find the most effective ones and these were then included in our final ewan the dream sheep™. He seems to be going down a treat and is even calming older children too… up to age 7yrs so far! 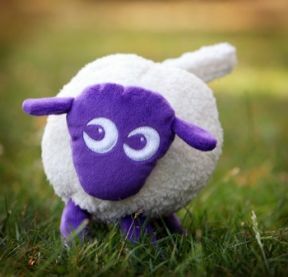 ewan the dream sheep™ can be used at home – cot, moses basket etc and also when out and about too, as he can be secured to the pushchair or car seat by his Velcro tail. ewan’s tail is also great for securing a dummy or teething ring to, so there’s no worry about it getting lost or falling out of the cot or buggy. He’s so versatile, ewan the dream sheep™ really is no ordinary sheep! beautiful harp music who is playing the harp?